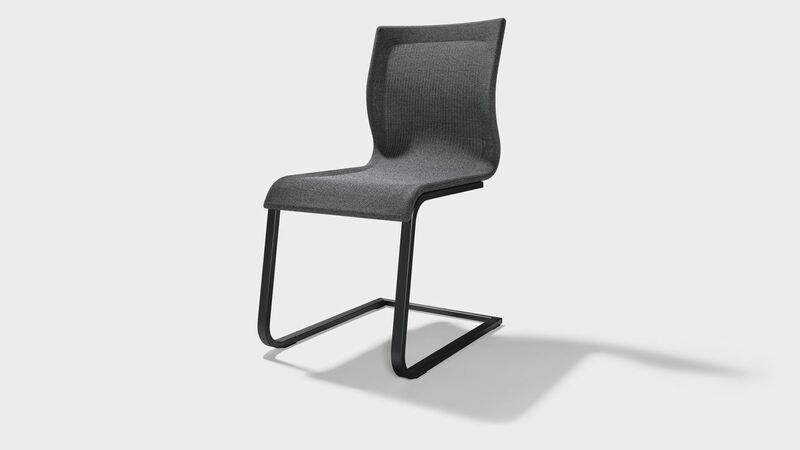 Our magnum cantilever chair has a pleasing minimalist design; its gentle rocking movement enables both a dynamic and comfortable seating position. The breathable Stricktex mesh enhances this almost airy feeling. 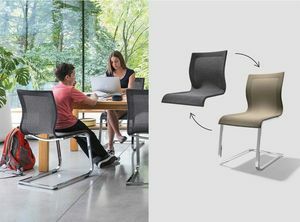 The chair adapts to fit your body perfectly, ensuring excellent comfort and outstanding air circulation. You can enjoy it in numerous different colours as well as with or without solid wood armrests. The chrome-plated steel cantilever frame is available in several different colours. Now also in a matt black powder-coated finish. The elements of the award-winning magnum table-chair ensemble are perfectly tuned to one another and impress with their innovative functionality and timeless design. What do you do when you no longer like the colour of your favourite shirt or if it's showing - as all fabric does - traces of wear? That's right, you get a new one! And it is almost just as easy to have the Stricktex seat shell replaced on your magnum cantilever chair. The seat frame stays the same. Bring a fresh breeze into your dining room with a new colour and give your long-serving magnum cantilever chair a brand new Stricktex cover! Your local TEAM 7 partner can give you more information. Please select your Stricktex colour. You sit. The chair fits. And breathes. The mesh for our magnum cantilever chair is manufactured in one piece so it fits perfectly when stretched over the frame. Thanks to its different zones, the patented single-layer and elastic structure of the Stricktex adjusts to fit your body perfectly; it is very permeable to air and this makes it extremely comfortable. Good for you. Good for the environment: the Stricktex material can be completely recycled.